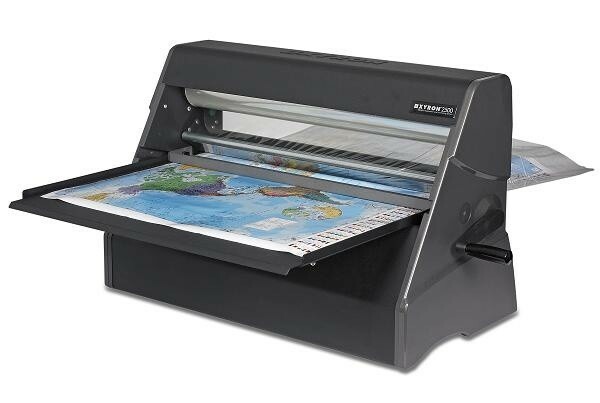 Xyron XM2500 25" Laminator and Supplies - GS Direct, Inc. The XM2500 makes professional document, signage and poster finishing up to 25” wide fast and easy. Instantly applies laminate, adhesive or both without heat or electricity. Simply feed the item in, turn the handle, and trim. No smell, no mess, no waiting.